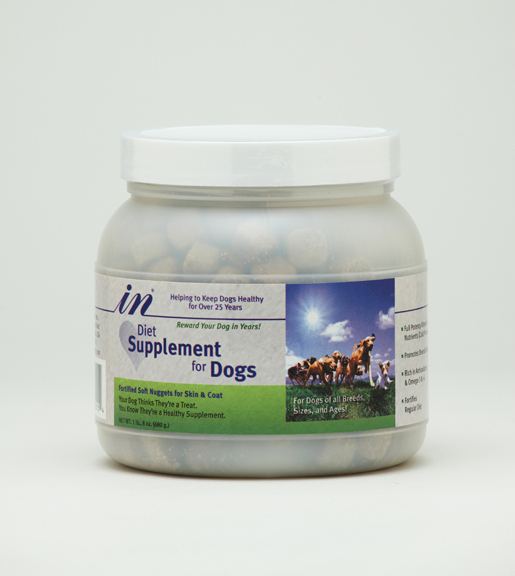 This formulation was developed for dogs with food allergies and sensitive stomachs. Corn, soy and wheat have been replaced with oatmeal, rice bran, parsley, carrots, beets, watercress, flax seed and spinach. It offers the same benefits as our original red label IN, providing the live enzymes, essential fatty acids, antioxidants, minerals and vitamins that are necessary to enhance your pet's immune system and to keep its skin and coat in top condition. Blue Label IN is manufactured in the form of a semi-soft nugget that can be given as a treat and can safely be given to dogs of all breeds, sizes and ages for their entire life.